Cascade Quest This “Sierra-style” adventure game is now in development! 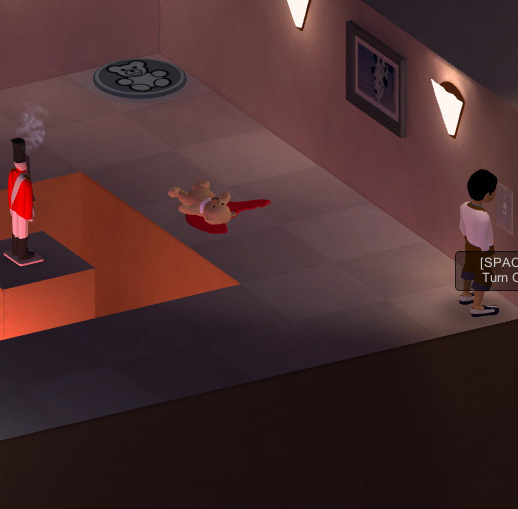 A modern take on the late eighties adventure games. 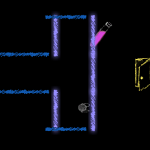 Relive all the best from that past era, but with the advantage of modern puzzle design: no dead ends or guess the word. Snail Trek These episodic mini “Sierra-style” adventure games are now available on Steam! 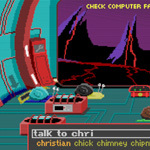 In the same style as Cascade Quest, these parser-based graphic adventures follow the story of a crew of snails across four chapters as they embark on a journey to a new homeworld. Void Quest What happens when you face something mysterious and indescribable right on your own land? Will your own curiosity lead you to your demise? Inspired by the classic Sierra adventure games, and created for Adventure Jam 2017 (and ranked #2 in the participants’ voting). When It’s Dark This short spooky puzzle game was the winner of the Week Of Awesome II game jam. The theme of the competition was “The Toys Are Alive!”. It explores what happens to a little boy’s toys when he turnsthe lights off. It was my first time using the Unity engine. Try it out, it should work on most browsers on Windows or MacOS. I may continue development on this, turn it into a full game and release it on other platforms. Entangled This small (free!) 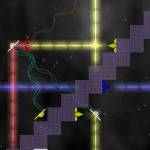 game shipped on the Windows Phone platform in May 2012, and emerged out of an entry in the Ludum Dare game competition. 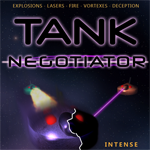 Tank Negotiator This is a multiplayer shoot’em up I made when I was first learning XNA. I’ve worked on it on and off for the past several years, and finally polished up it and shipped it. It was released on Xbox Indie Games on December 14, 2012. Get it here. Comfort Zone This experimental game was created for the Ludum Dare 37 competition. It placed 4th in theme and innovation, and 9th in the overall category.